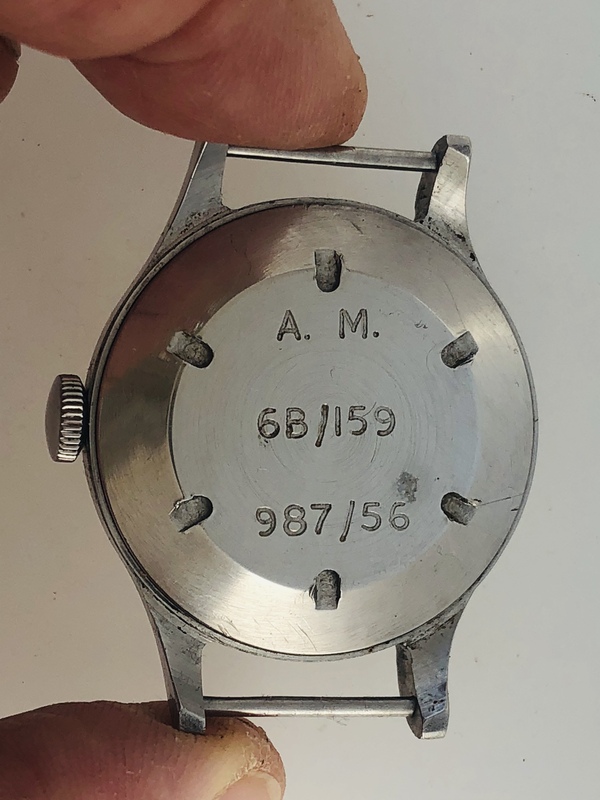 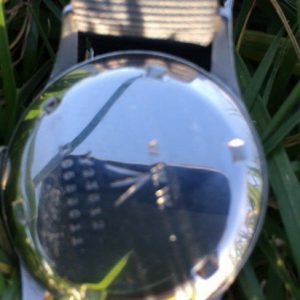 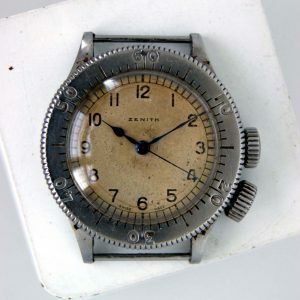 This watch was purchased from the family of the original Spitfire pilot to whom it was issued originally in 1944. 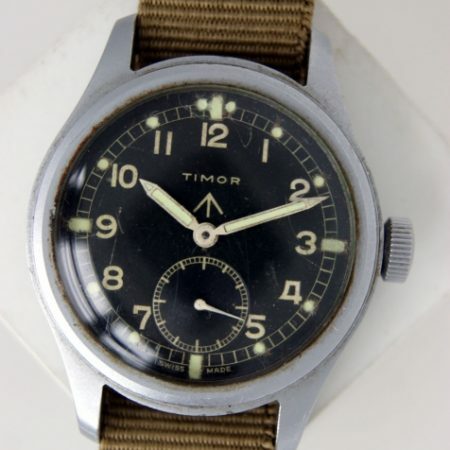 He stayed on in the RAF after the War and the watch was reissued to him in 1956. 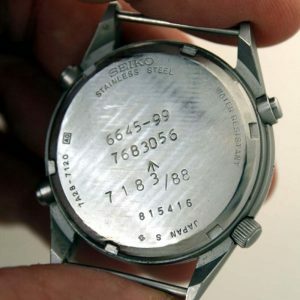 A letter of provenance will be supplied with the watch. 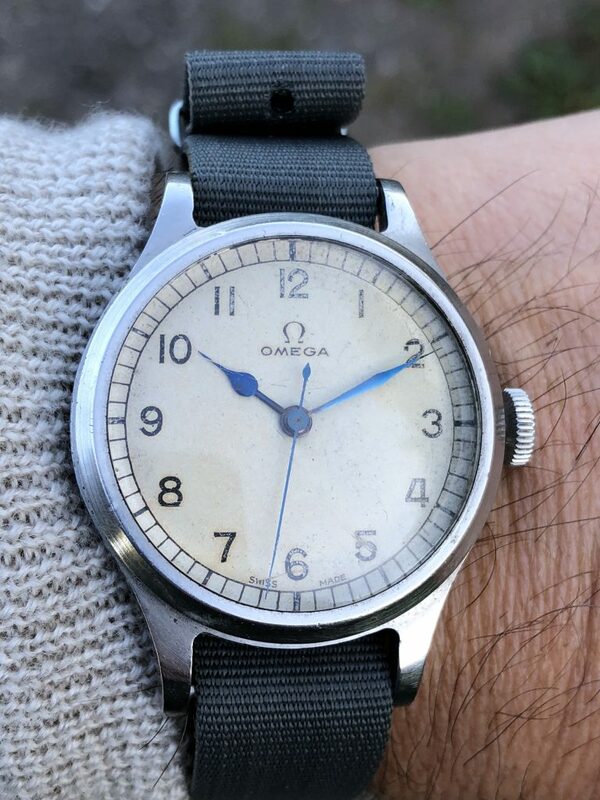 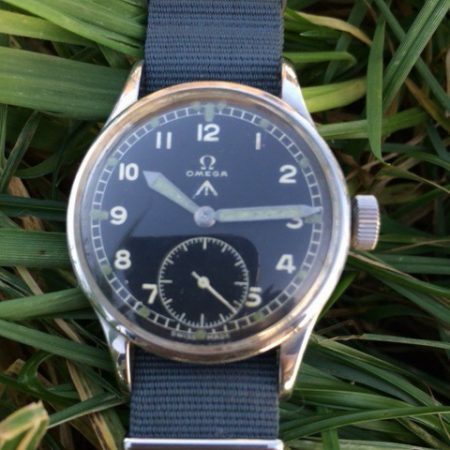 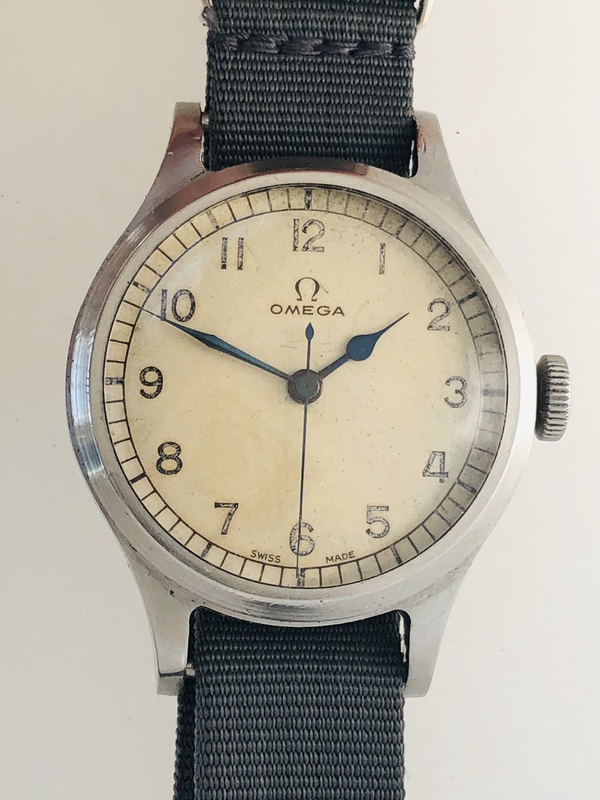 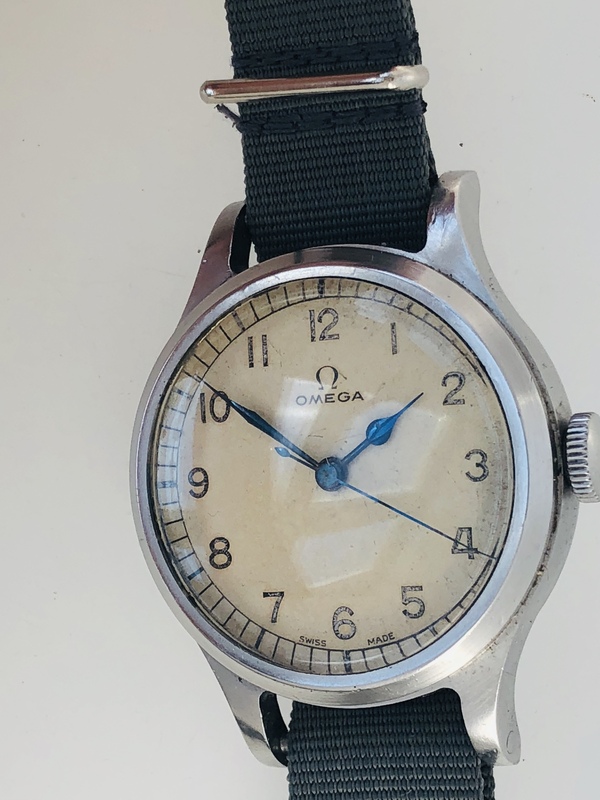 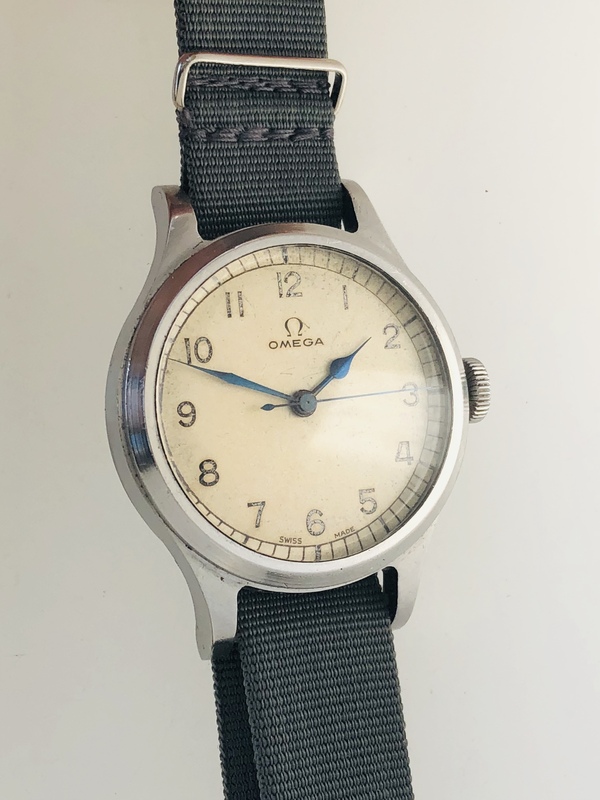 A rare and classic Omega Military wristwatch made only in the year 1956. 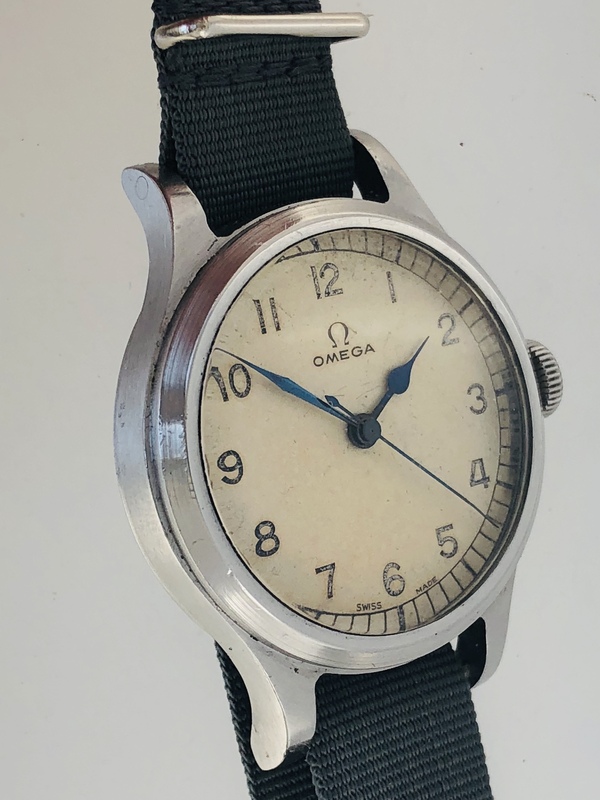 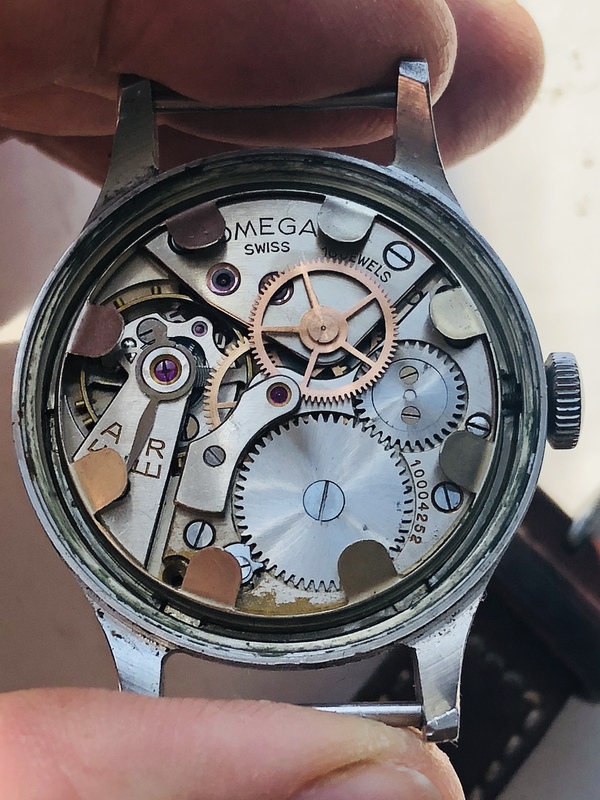 In that year, the British MOD decided to re-case its old war-time Omega watches with the highly regarded and reliable 30T2 movements in their RAF 6B/159 spitfire pilots watches. 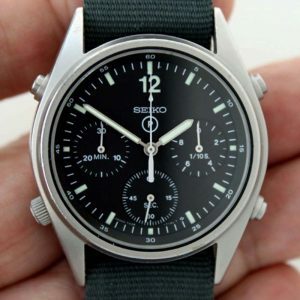 The movements are chronometer rated.